Maybe the toughest task the Chiefs have had this season came in the form of the Toronto Marlboros. Chalked full of talent, Brant Galbraith was tasked with keeping the offense in check. There were no shortage of chances and Galbraith stood tall in this one. The Chiefs, known in the Alliance as a very physical team, set the tone early in this one as Mark Woolley threw one of his well known big hits just seconds into the game and the physicality would continue throughout. The Marlies led 1-0 after the first period and lots of that just had to do with the puck movement and the control their players possess with the puck. It really was something to witness. Midway through the second period, the Chiefs got a break as Jakob Marche left the penalty box and gave a nifty backhand feed to Jake Weston who would bury it to tie the game up. The Chiefs had their chances with the Marlies getting into penalty trouble, but just couldn’t capitalize on their chances and the Marlies defense was very good at getting their sticks in the passing lanes. Elgin contained the big guns for the Marlies for most of the game, but Graeme Clarke finally broke through and gave the Marlies a 2-1 lead, which would be the final. Jake Weston, who has had lots of action up front recently, was very good for the Chiefs along with Navrin Mutter. As stated earlier, Galbraith was a rock in goal. London had a late start on Friday, but was hoping to build off the momentum of a big win over the Toronto Young Nationals on Thursday night. It started out strong for the Jr. Knights when Jeffrey Burridge, who is having a great tournament, used his speed burst to get around the defender and snap a shot over the goalies shoulder to put London up 1-0. London carried on strong through the opening period, using their speed and smarts to keep Belle Tire on their heels. Things changed quickly after the first period as Belle Tire scored two goals in 61 seconds to begin the second, the latter just sneaking between the post and Lewis Boulton’s pad. It really was just a flat period for the Jr. Knights as nothing could get going and their big line was kept to the outside and easily knocked off the puck. Belle Tire would lead 3-1 heading into the third period but penalty trouble would continue to hurt Belle Tire. Peter Fleming brought London to within one goal before the Jr. Knights would once again grab a 5-on-3 powerplay and Ryan Suzuki did not miss. A top shelf shot from basically the goal line tied things up. While it looked like London was on the rise, a costly turnover in the defensive zone led to an absolute rocket off the stick of a Belle Tire forward, Boulton had absolutely no shot at this one and Belle Tire would take a 4-3 lead, which would be the final. With so many games going on at once, unfortunately I wasn’t able to catch all the games for all of the Alliance teams. 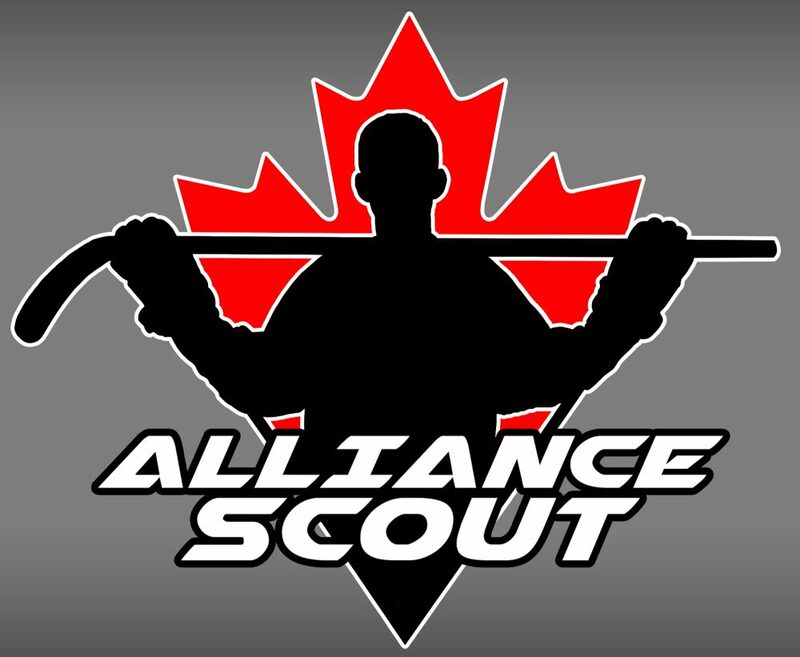 With that said, here are the results from some of the other Alliance games on Day Two of the Silver Stick. Cambridge Hawks fell 4-3 to the Toronto Jr. Canadiens. David Anderson had a great shot at tying the game in the last seconds but was stopped by the Canadiens goaltender. Sun County couldn’t get their possession game going and lost 3-1 to a very tough Mississauga Senators team. Host Whitby Wildcats were able to shut down the Cambridge Hawks 2-0. Jet Greaves with some big saves to keep it close. Waterloo got a late goal from Josh Martin to secure a 3-3 tie with Detroit Honeybaked and keep their hopes of advancing alive. The weekend didn’t get much better for the Elgin-Middlesex Chiefs as they were thumped 7-1 by the Mississauga Senators. Caught the end of the game where some of the hits were just getting ridiculous. The final game for my Friday in Whitby was the London Jr. Knights, played just a few hours after their first game of the day, It was a big game for London, who needed a victory to keep any shot of advancing alive. Jr. Knights fell behind early as some nice passing by the Titans led to a wide open cage for them to grab a 1-0 lead. Owen Say had a desperation attempt, but no real chance at getting anything. Shortly after falling behind, London was dealt another blow sa a collision between Mason Howard, a Titans player and Jeffrey Burridge did not end well as Burridge went down and needed to be helped off the ice. After some time away, thankfully Burridge did return later on in the second period. Before his return, the three top scorers in the Alliance made their presence felt in the game as Aidan Preuter fed Ryan Suzuki who gave the puck to Brett Budgell for a beauty goal. Budgell waited out the goalie long enough to have a practically wide open cage for the goal. Just minutes later, a scramble in front of the net had Liam Vanloon slide the puck into the back of the net for a 2-1 London lead. Seconds after London took the lead, a scramble in front of the London net had Toronto tie the game and the goals were flying in left, right and centre. Later in the game, a London powerplay would give the Jr. Knights the lead for good. Budgell, who mans the point but also circles in the neutral zone in a new formation, shot the puck just wide of the net giving Preuter the nice tip in goal. A Luke Drewitt goal late in the third period sealed things for London, who now have two wins and a shot at the division win on Saturday afternoon. With the final day upon us, London, Waterloo and Sun County all have the chance to advance to the quater-finals. All three of these teams will need their best performances in order to defeat some tough teams on the schedule. This entry was posted in Cambridge Hawks, Elgin-Middlesex Chiefs, London Jr. Knights, Sun County Panthers, Waterloo Wolves, whitby silver stick and tagged aidan pitre, aidan preuter, barrie jr. colts, brant galbraith, brett budgell, cambridge hawks, david anderson, Detroit Belle Tire, detroit honeybaked, elgin-middlesex chiefs, everett parents, Gloria Rints Silver Stick, Graeme Clarke, hunter hutchins, jack hughes, jake weston, jakob marche, jeffrey burridge, jet greaves, josh martin, lewis boulton, liam vanloon, london jr. knights, luke drewitt, marcus joughin, mark woolley, mississauga senators, navrin mutter, owen say, peter fleming, ryan suzuki, silver stick, Southern Tier Admirals, stephane crevier, sun county panthers, toronto jr. canadiens, Toronto Marlboros, toronto marlies, toronto titans, Toronto Young Nationals, waterloo wolves, whitby silver stick, whitby wildcats, zane dalpe by Dave Coulson. Bookmark the permalink.